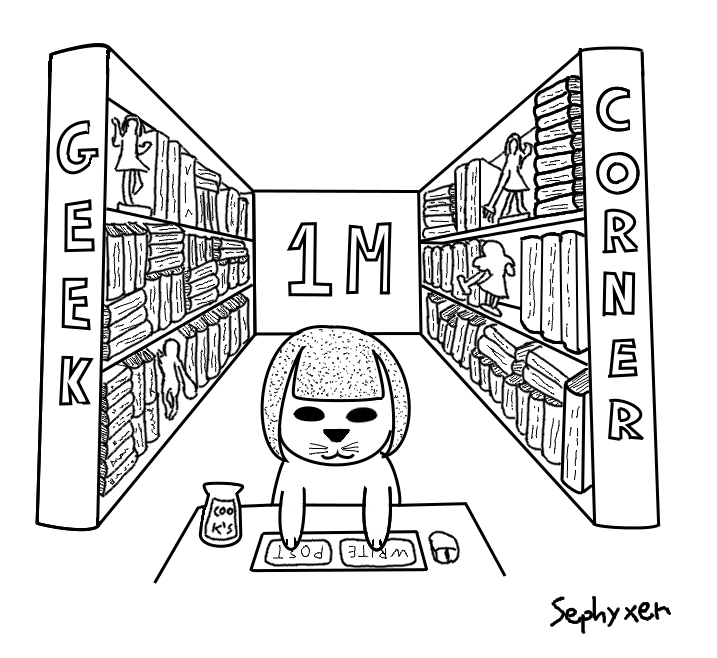 May « 2016 « Geekorner-Geekulture. Let’s talk about contexts. The obvious context for this episode is the Vietnam War. 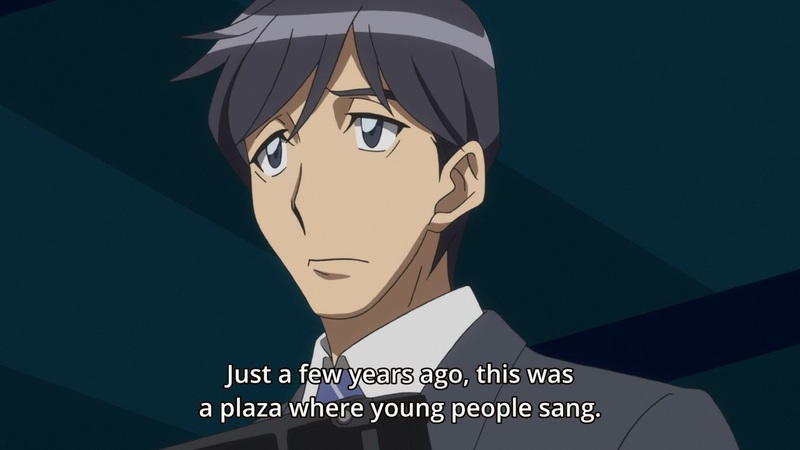 It’s not the context for this episode alone, as the “Shinjuku Riots” also revolved around Japan’s involvement with aiding America in said war. 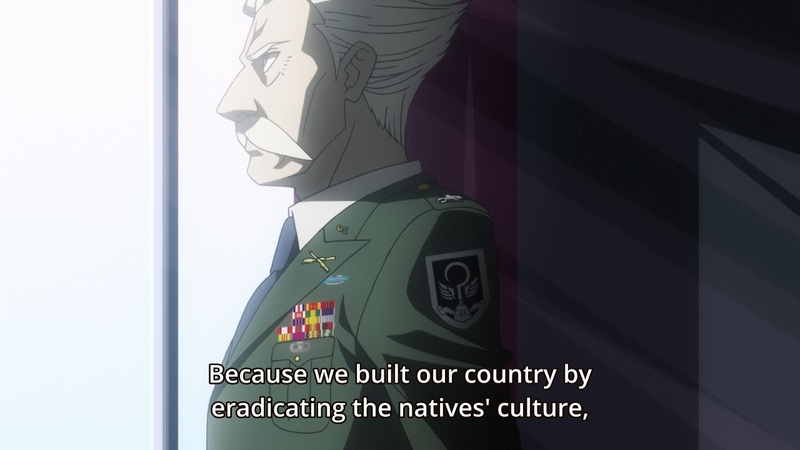 In episode 17, revolving around Devilo and Devila, I drew parallels to how the Native American population was treated, which this episode references as well. 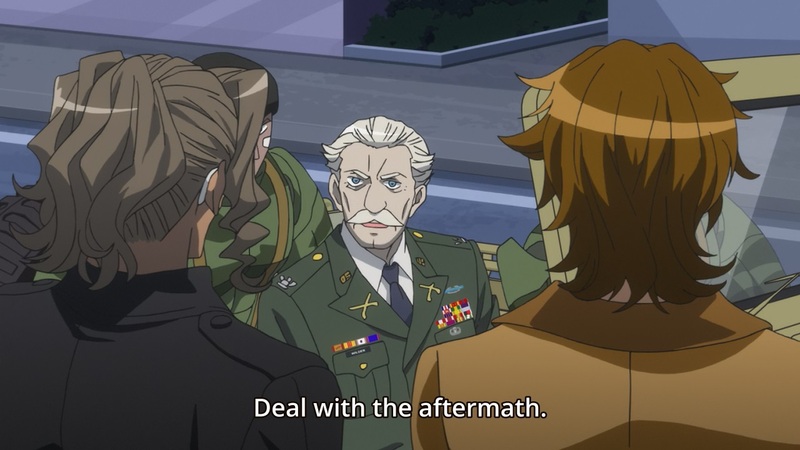 The episode made use of the PTSD, no place to return to, and the way the war changes you, all of which had a big place in Hollywood films about Vietnam, but it is even more acrimonious of America’s involvement and nature than that, which is all about context. 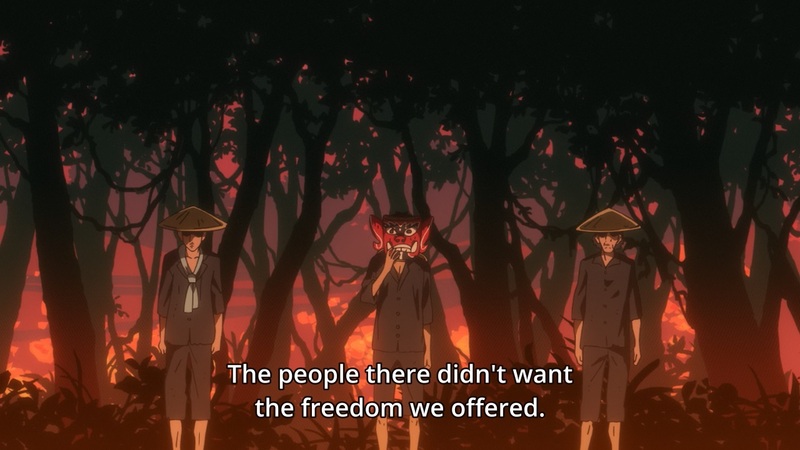 I’ve discussed before how the whole show is in some ways a Cold War story, and about Japan’s honour, honour that was trampled by America after World War 2. This context is important, because there was a tendency by the two world powers to make use or get involved in the matters of other countries, then leave the clean-up to them. An example of that would be Afghanistan, where what later became the Taliban was supported by America in their bid to fight indirectly against the USSR. While there wasn’t as much “direct colonialism” as was seen by the Imperial Nations (including France and The British Empire) pre-World War 2, there was still the view that America was going to come in and “liberate” the people, give them democracy, whether they want it or not, and then leave them to handle building their country, with a ruined infrastructure, for their own benefit. The most recent example of this would be Iraq, in 2003, or some of the “Arab Spring” revolts of 2011. 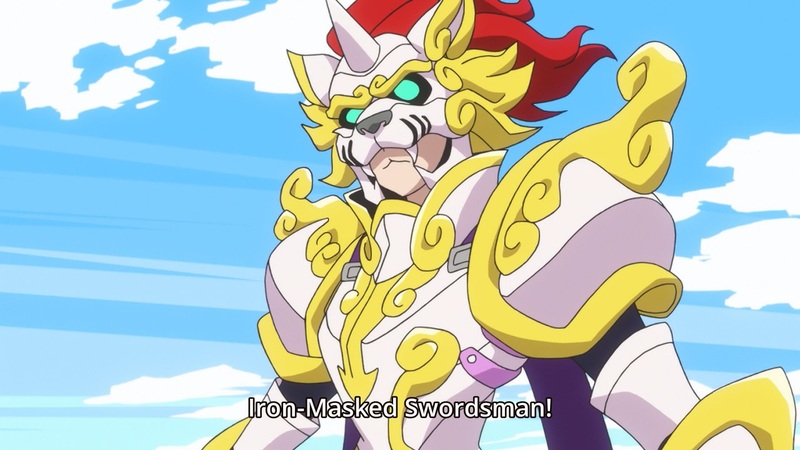 You know, this whole episode felt like one big homage to the tokusatsu genre, and if we look at a recent anime franchise with ties to the tokusatsu genre, it’d be Garo. We’ve had our knight in a crazy armour, the “monsters” she was fighting, a sword beam, etc. This is a love-letter to a simpler time, with simpler media. Or is it the case? You know Power Rangers? 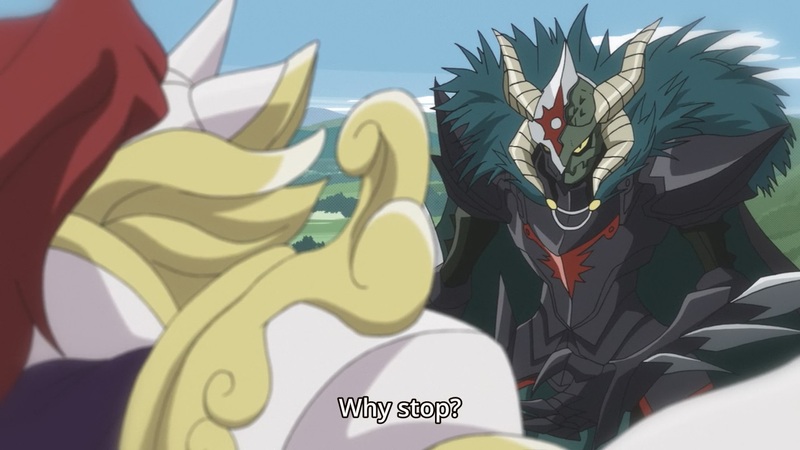 It’s been influenced by Super Sentai, and other tokusatsu series, and we all remember how the villain who’s redeemed and switches sides is actually a pretty common motif in these shows. 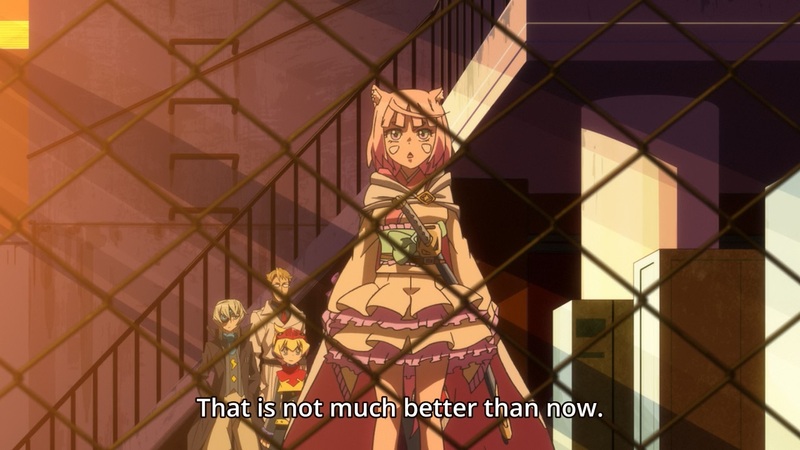 And this is obviously a big part of the theme behind this episode. 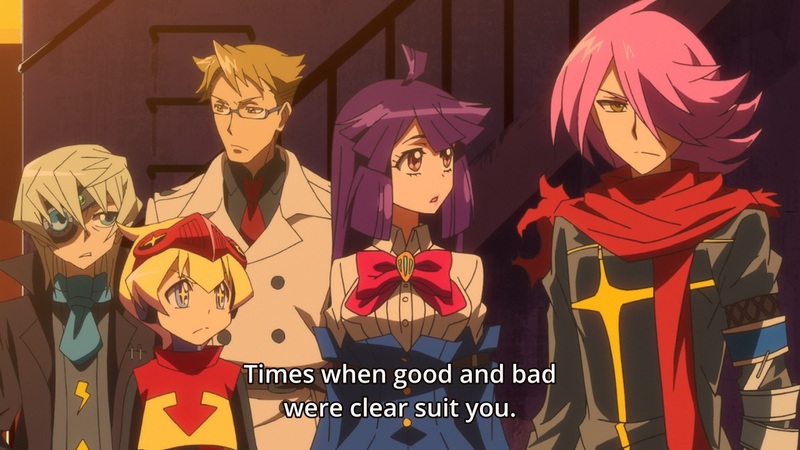 Continuing directly from episode 16, where we discussed how the past can’t be ignored, or it will come back to haunt you, we reach this episode, where Jirou speaks in platitudes and tells Koma how she fit better in the past, where you could clearly tell right from wrong. 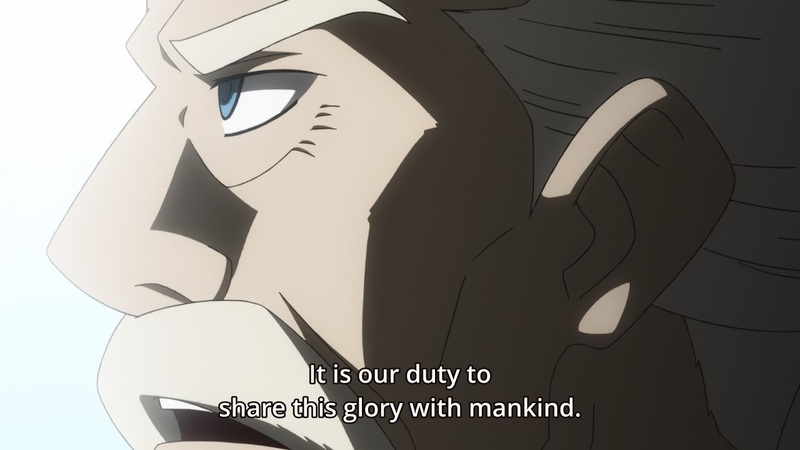 And just moments before the show had Koma tell Jirou how wrong he is, I thought to myself how those lines are a betrayal to everything the show has been saying up to now, especially in this cour, and in this episode as well. The whole story with Asahi is exactly about how good and evil aren’t clear, and were never clear. Jirou is acting somewhat like a child, thinking there was no wrongdoing and tough circumstances before he came around, but that’s obviously nonsense. 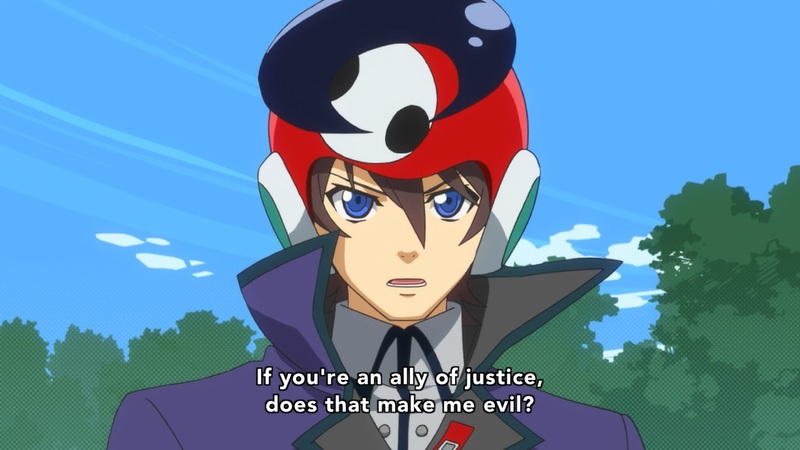 ConRevo is a show that always builds on past episodes, and you could see it with small moments such as thereappearance of the Tartaros Bug Lady that we’ve first seen in episode 2, or the unsurprising return to one of the best lines in the show, that first appeared in episode 8, “If you’re an ally of justice, does that make me evil?” which I could see why a writer would wish to return to, or another writer commentate on, because it’s just such a good line and such an important moment. 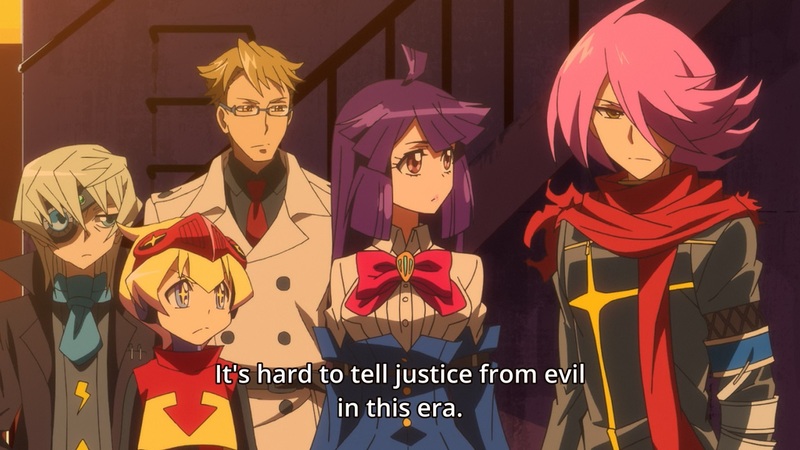 But more than just commentate on the past, a show like ConRevo can commentate on the in-show future (aside from dealing with the show’s political climate in modern Japan, as I mentioned in episode 16’s write-up). What are we fighting for, if this is the face of “victory”? It’s important to actually pay attention to when this episode takes place, inside the show’s chronology. It begins a month before last week’s episode. 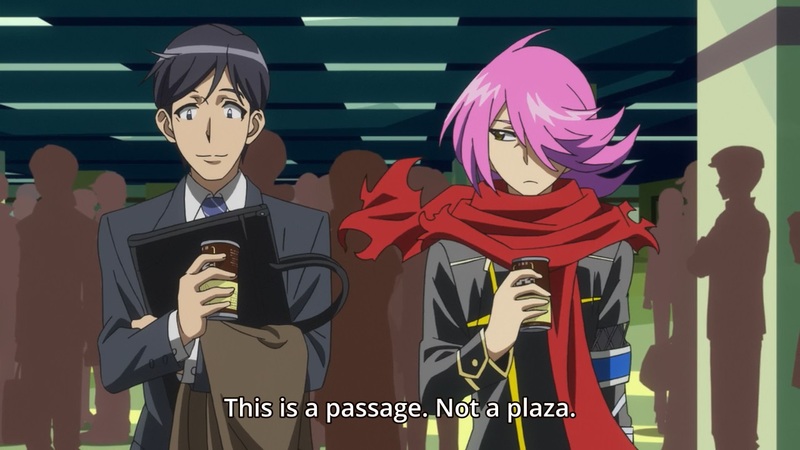 There are small callbacks with moments such as “This is a passage, not a plaza,” but more importantly was Shiba Raito releasing criminal superhumans, especially one who was half-Devil, from Devila’s tribe. 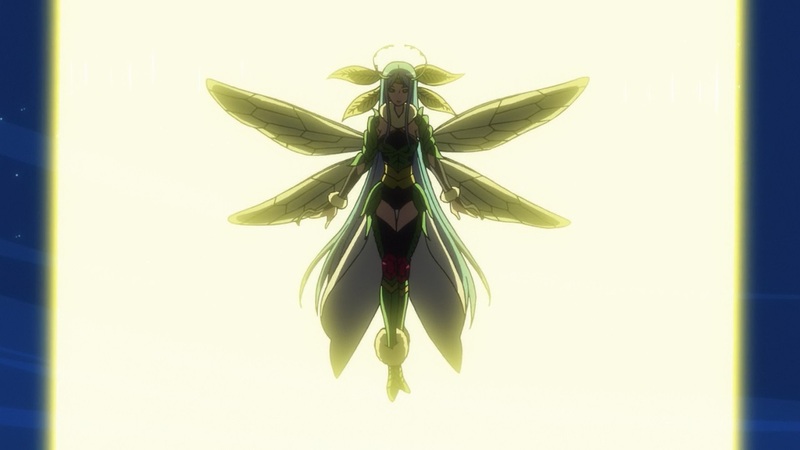 This led to people being more on edge against superhumans in general, and the Devila tribe underground superhumans in particular. But are they just looking for an excuse?